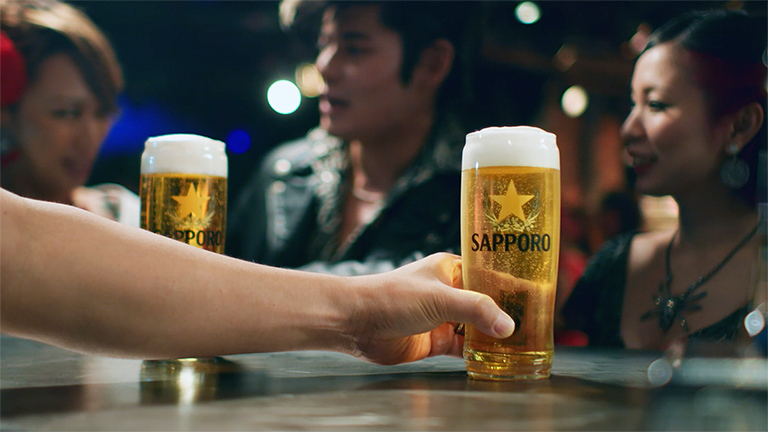 In a category battling significant headwinds, our challenge was to broaden Sapporo’s relevance to a North American audience. We did this by exploring Japan’s fascination with classic aspects of Western culture – rock ‘n roll, denim, burgers, baseball…and naturally, beer. The West has given Japan much to be grateful for. In return, they offer us Sapporo. The theme of cultural exchange continued when we brought Johnny Pandora, the star of the commercial, to Canada to share his unique brand of Samurai Rock ‘n Roll in a series of exclusive gigs.